The Norwegian has reinvigorated the Old Trafford club since taking over from Jose Mourinho in December. 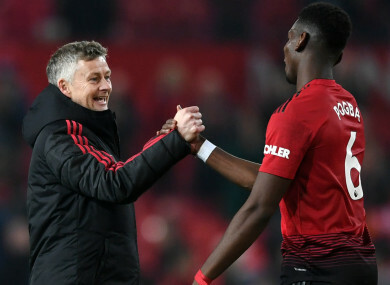 Ole Gunnar Solskjaer with Paul Pogba. Maybe we lost confidence, maybe things went wrong,” he said. “A lot of talking outside that we weren’t used to. Email “'Of course we want him to stay': Pogba backs Solskjaer to get permanent Man United job”. Feedback on “'Of course we want him to stay': Pogba backs Solskjaer to get permanent Man United job”.